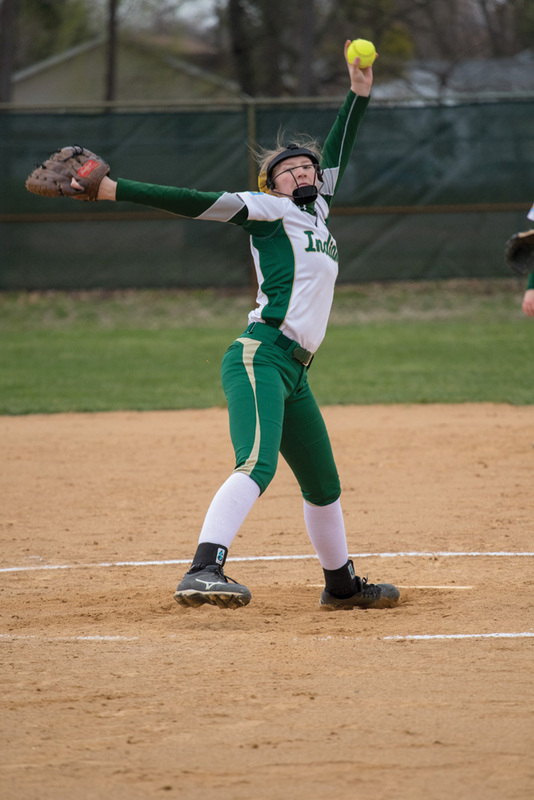 IR pitcher Abigail O’Shields sends one flying in Tuesday’s 0-5 loss to Smyrna High School on Tuesday, April 2. When eight of 12 softball players on a team are either sophomores or freshmen, it is certainly possible to face some struggles early in a season. The jump from JV or middle school softball to the “big show” of varsity competition can take some time. That is the case for the Indian River High School squad so far in the 2019 season. 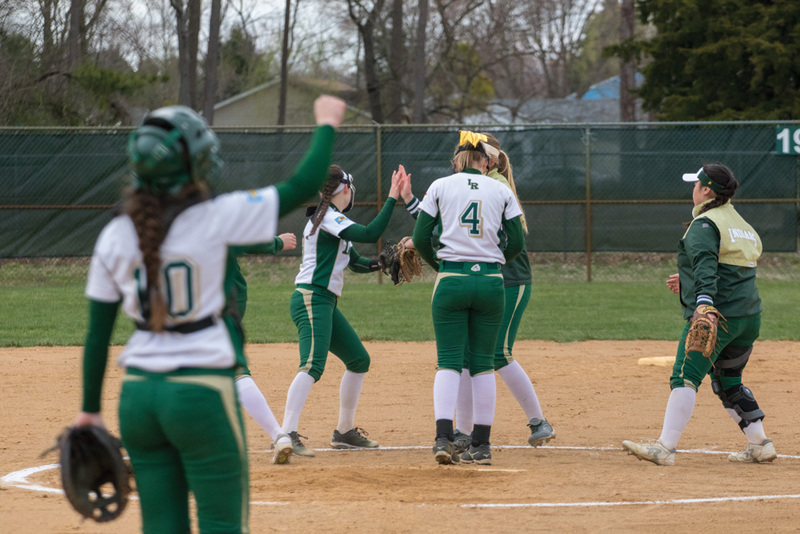 After a season-opening 3-2 extra-inning win over Polytech, IR has fallen into a rut, with three straight losses this past week. Notably, they have been facing some top programs with some extremely impressive pitchers during this recent slide. The early struggles for the Indians have first-year head coach Sam O’Shields using the experience as teaching tools for his young squad. Their most recent setback came Tuesday, April 2, in a 5-0 defeat to Smyrna. The Indians managed just four hits against Eagles pitcher Payton Dixon, while leaving six runners on base. Taylor Lipkins, Morgan Bomhardt, Izzy Alley and Brandi Mitchell each had singles for the Indians. 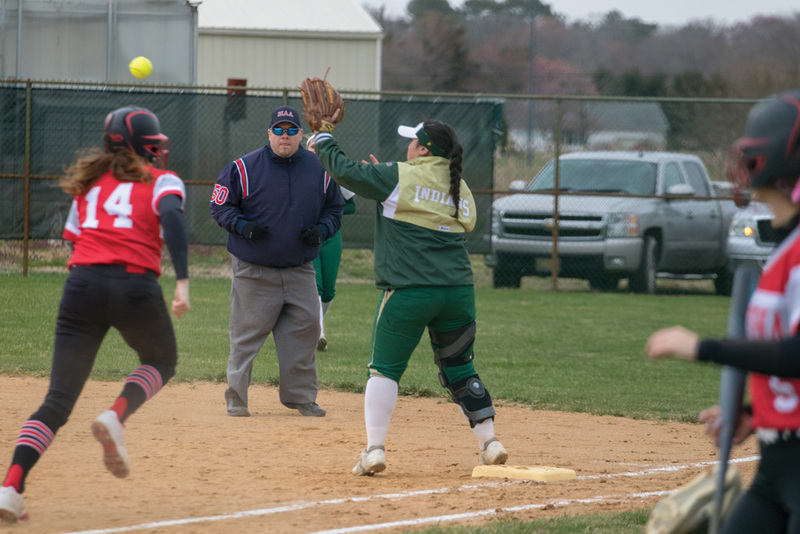 Against Caravel on Saturday, March 30, IR jumped out to a 1-0 lead after one inning of play thanks to a leadoff triple by Lipkins, who then scored on a passed ball. It’s rare that one early run is going to win a ball game, but such was the case in this one, as Caravel tied things up with a solo tally in the third before taking the lead with two decisive runs in the seventh. Bucs freshman Mikayla Walsh took a 1-2 offering from IR’s Abby O’Shields deep over the left field fence for a two-run home run. 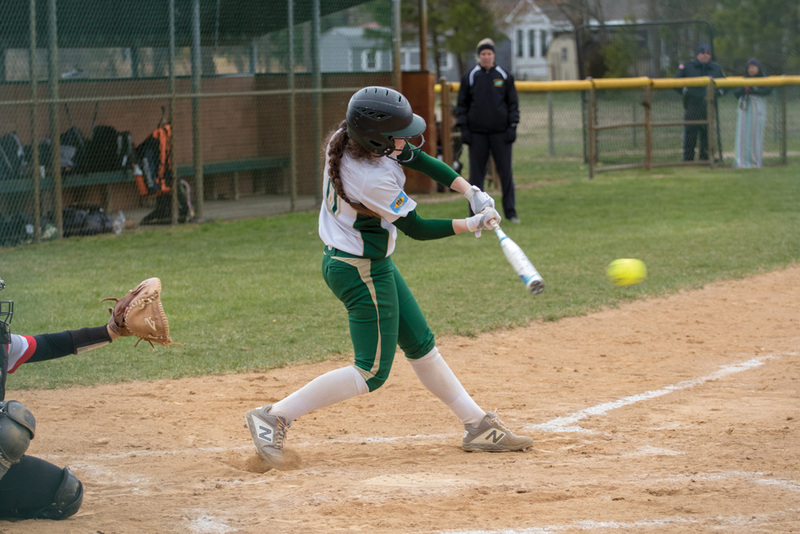 Lipkins, Bomhardt and Grace Snyder had the lone hits for the Indians in this one. On Thursday, March 28, both IR and Dover scored in the first inning, and did not score the rest of the day. The problem for IR was that the Senators were able to score one more than the Indians in the 2-1 decision. IR again managed just three hits this time, off the bats of Lipkins, Snyder and Mitchell — all singles. Freshman Alexis Dowdy pitched extremely well in the circle for the Senators, picking up the win. She allowed the three hits with four strikeouts, and the IR run was unearned, thanks to a pair of Dover errors. Senior Abby O’Shields has been the hard-luck loser the past three games. Collectively, she has allowed just seven earned runs, which averages out to just over two runs per game. Her efforts have kept the Indians in every game. The Indians were set to travel to Seaford on Thursday, April 4, before getting an eight-day break from game action. They will look to right the ship with a win over the Blue Jays before heading into that hiatus. Results from the game against Seaford, which took place after Coastal Point press time, will be on the Coastal Point sports Facebook and Twitter pages.